Our partner school Lyon Bleu International is a private school which offers French courses since 1999. The school is located in a nice building in the heart of the city. It is situated in a stylish neighborhood close to the historical centre and the Business district. It offers a harmonious and convivial environment giving rise to learn French in the most efficient manner. The aspects of the everyday French life are dealt with in vocabulary classes and practical activities. Lyon itself is a culturally and very active city throughout the entire year offering a lot of events. Information about shows, concerts, exhibitions, theatre, and cinema can be obtained within the school. The intensive course consists of either 15, 21 or 25 lessons per week (1 lesson = 45 minutes) in a group with a maximum of 12 participants. With the intensive course of 15 lessons per week you will expand your general knowledge of French. The course focuses on the elementary aspects of the language such as grammar, vocabulary, oral and written expression and listening and reading comprehension. This course is not suitable for absolute beginners. With the intensive course of 21 lessons per week, (available from 2019) you will receive 15 lessons per week focusing on general French + three workshops per week (1 workshop=2 lessons) on Tuesdays, Wednesdays and Thursdays. The workshops include activities to improve and practice your French language skills in more specific contexts. Examples of activities in workshops are: discussions, press/tv, spelling, French culture, literature, film, etc. With the intensive course of 25 lessons per week you will receive 15 lessons per week of general French (3 lessons per day) and daily workshops on one of the topics above mentioned (2 lessons per day). Classes can take place either in the morning or in the afternoon. This depends on your language level and, as a result, on the group to which you have been assigned. Absolute beginners are advised to take part in the intensive course with 25 lessons per week for a minimum of 2 weeks. In addition, there are specific starting dates for beginners (see below). For the intensive 15, an elementary level of French is required. Complete beginners can participate in the intensive course of 25 lessons? ?b?u?t? ?t?h?i?s? ?c?o?u?r?s?e has a minimum leng?th of 2 weeks for complete be?ginners a?? ?nd has official starting dates?.? Only for students applying for a Visa: When staying in a host family, you need to pay a € 150 fee for a pre-registration certificate. The minimum age for the short-term studio is 18. The prices of studios might vary according date, length of stay, availability and additional costs such as electricity and insurance. Please contact to confirm final price. The prices of studios are valid for a duration of 5 up to 12 weeks; in case you wish to book a longer stay, please contact us for long-term prices. Additional fees to be paid when booking this accommodation: Refundable deposit: € 450 (refunded at the end of your stay). Please note: Arrival has to be on Monday (no arrival during the week-end). In case you wish to arrive on the Friday (before your course starts), this is possible, but please contact us to confirm the price of extra nights during the weekend. The price stated here is for an airport transfer upon arrival at Lyon St. Exupéry Airport. In 2019 the school is closed on 01/01/2019 - 07/01/2019, 22/04/2019, 01/05/2019, 08/05/2019, 30/05/2019, 15/08/2019, 01/11/2019, 11/11/2019 & 20/12/2019 - 06/01/2020. Missed lessons due to bank holidays will not be refunded or rescheduled. The combined course combines perfectly the dynamics of group classes with individually tailored private lessons. A very flexible formula, ideal for those who have a limited time available to reach their objectives. 15 lessons of intensive course + 5 one-to-one lessons per week are included. The minimum level is elementary. An elementary level of French is required.?? Discover traditional recipes of « Cuisine Lyonnaise » and more general French gastronomy in a practical workshop with demonstration and tasting. A diverse programme of visits based on cuisine and gastronomy which allow students to discover French cooking traditions and the world renowned Lyonnaise specialities. The French & Cookery consists of 15 lessons French per week and daily gastronomical activities such as a cooking class, wine tasting and different types of visits such as to a typical patisserie. To participate in this course an elementary level of French is required. 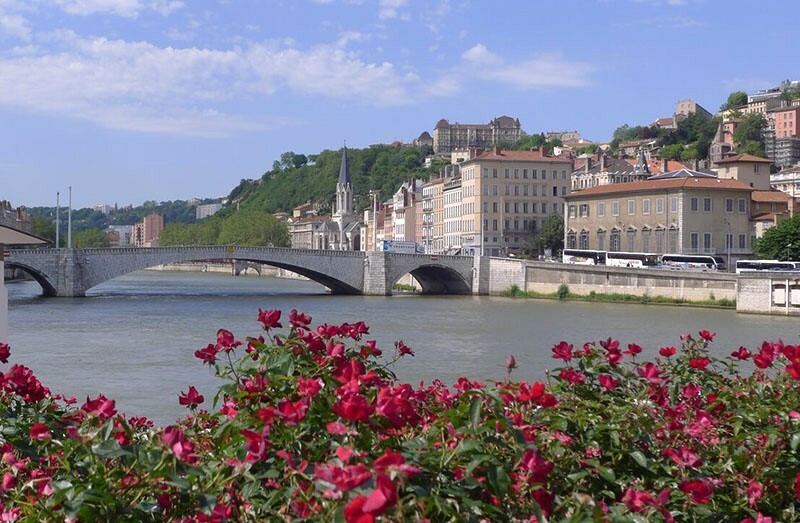 The French and Culture course combines an intensive French course of 15 lessons per week and a programme of discovery of French culture in and around the historically charged city of Lyon (5 Cultural activities are included per week). This programme is designed to help you to discover French history and culture while encouraging you to practice and speak French in a uniquely French context. The cultural programme is adapted according to each season and takes advantage of the programme of events presented by the official Office of Tourism of the City of Lyon. The minimum level of French is elementary. The DELF/DALF course combines regular group classes with individually tailored private lessons in which you can prepare for the DELF/DALF exam. You will receive 15 group lessons of general French + 5 one-to-one lessons per week focussed on DELF/DALF preparation. The minimum level is elementary. The oral exams generally are in the week after the written exam, because of this it may be necessary to book extra nights in the accommodation. Prices upon request. One-to-one French classes are perfect for those searching for an entirely tailor made French programme, a more intensive learning experience, or to work on a particular aspect of the French language. A tailor made schedule is possible and you can start the course every Monday. Staying in a host family while sharing and participating in their day to day life means experiencing the French culture from a unique point of view. Families are carefullly selected in terms of professionalism and their wish to meet and exchange with foreign French language learners. You will stay in an individual room and share the bathroom and kitchen facilities with the host family. You can decide for breakfast only or half board. The short-term studios in Lyon are single-use apartments available up to 4 weeks. They are modern, fully equipped and furnished with individual kitchen and bathroom. The maximum distance to school is 30 minutes by public transport. The long-term studios in Lyon are single-use apartments available from 5 weeks or more. They are modern, fully equipped and furnished with individual kitchen and bathroom. Long-term studios are located about 20–25 minutes (by bus and subway) from the school and city centre.